At Nitel, Taylor is responsible for building Nitel's partner and customer portfolios, developing enablement programs to help drive partner success, and re-defining the Nitel customer experience. 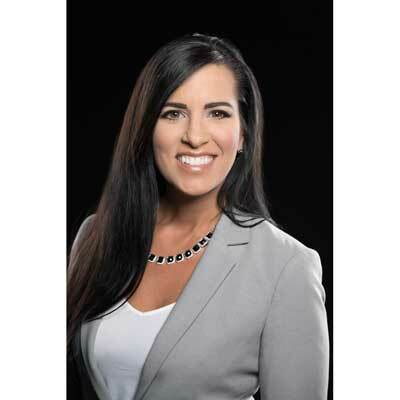 With more than a decade of channel sales and account management, Castranova joins Nitel from Windstream where she held a succession of management and leadership positions within the company's channel and indirect sales organization, most recently serving as vice president of channel account management. Prior to Windstream, Castranova worked for US LEC and then PAETEC Communications after the two companies merged in 2007, prior to being acquired by Windstream in 2008. In September 2017, we launched the Nitel Elite Partner Program. Open to our top-performing master agents, the new program delivers dedicated support and business development resources including market development fund accrual and channel director alignment for agents and channel partners in their local markets. The Nitel Elite Partner Program features eight master agents. These include AVANT, Converged Network Services Group, Intelisys, MicroCorp, PlanetOne Communications, Sandler Partners, Telarus and Telecom Consulting Group. Over the next year, I strive to increase overall percentage of the company revenue that comes through the channel by increasing partners' customer satisfaction ratings and adding more qualified partners. In 2017, I was named one of the IT channel's top "100 People You Don't Know But Should" by CRN. Staying true to my professional mantra - "innovate, collaborate, have fun and be accountable" - I set out to inspire my team to identify and bring to market new and better ways for our channel partners to generate more business, grow more profitably and expand their business with next-generation services like SD-WAN and managed security. As current COO of Facebook, Sheryl Sandberg is someone that I admire. Not only for her rise through corporate America and earning the only spot held by a woman on Facebook's board of directors, but also how she has leveraged this position of influence to found the Lean In Foundation. Lean In is an organization dedicated to helping women achieve their goals by providing support through small groups throughout the country. Don't focus your efforts on building contingency plans for all of the reasons that you might fail. Focus your efforts on how you will succeed and build a plan for success. Adopt a 'can't lose' mantra, keeping your mindset on success and finding new opportunities to learn and grow. I would like to perfect - as much as one can perfect it - public speaking. A key to success in sales is storytelling and the ability to communicate a message to a large audience, in some cases. Doing this well involves being able to capture your audience and create the interest and drive additional conversation. It is an art form and one that requires practice over time and coaching to perfect the skills necessary to be effective. "The Elephant in the Boardroom" by Edgar Papke. One of the reasons I chose to read this book is because it enables the reader to see the benefits of challenging complacency and pushing a higher level of accountability within their organization. There is a need today to be able to act bravely in difficult situations in order to push past a potential failure and into an area of learning and development.